Alumier Peel treatments represent the very latest and the very best in the next wave of clinical exfoliation. Utilising a carefully balanced combination of acids that lower the PH of your skin, loosening the connection between dead skin cells to exfoliate and stimulate new cell growth. Leaving you with soft smooth skin and a glowing complexion. People can often be put off by the harsh chemicals and processes used in a chemical peel, which can cause side effects or discomfort for the customer. With a natural green peel, however, you get all of the benefits, but in a clean, soothing, and environmentally friendly way. Each and every one of our range of natural skin peels have been medically developed and uses active plant ingredients such as herbs, vitamins, and enzymes. What’s more, each peel comes with a free digital skin analysis, ensuring we craft the perfect treatment for your skin. Created by experienced dermatologist Dr Christine Schrammek, this powerful and effective treatment involves massaging a herbal peeling mixture directly into the skin. This carefully developed blend will ensure your skin is open, clean, and fresh. After 5 days of home treatment, you’ll be ready to return for a follow up facial, ensuring you have radiant and healthy skin. Created by experienced dermatologist Dr Christine Schrammek, this regenerative treatment loosens the outer layer of dead skin through a herbal plant based mixture. 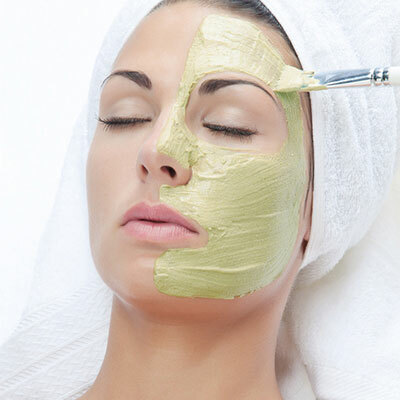 But, rather traditional peeling, the cell regeneration is stimulated, making this treatment ideal for skin impurities and age-related pigment discolouration. For the most effective results, repeat treatments are advised. Created by experienced dermatologist Dr Christine Schrammek, this revitalising treatment stimulates and reinvigorates the skin rather than the conventional peeling method, which removes the top layers. This is achieved by boosting the skin’s circulatory processes and opening up the pores, improving the results of skincare treatments and follow-ups. The results? A brighter complexion and warm, healthy glow! Developed by the experts at Environ, this rejuvenating peel, made from carefully selected natural ingredients, revitalises your skin without the irritation, discomfort or recovery time associated with a chemical peel. The Environ Cool Peel tackles problem skin with ease, clearing up your complexion, reducing inflammation, and leaving you with smooth healthy skin. An AHA peel is one that relies on naturally occurring acids, known as alpha hydroxy acids, that have exfoliating properties that help to rejuvenate and revitalise the skin. This Fruit Acid Peel takes those acids from fruits and uses them to form a soothing and invigorating peel that can help combat impurities, fight the signs of ageing, and leave your skin smooth and healthy. 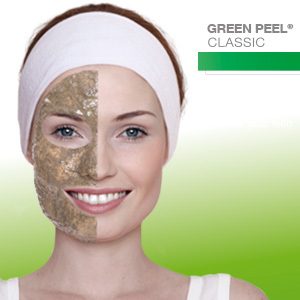 For further information about our Natural Green Peels, or to book a consultation, please get in touch.